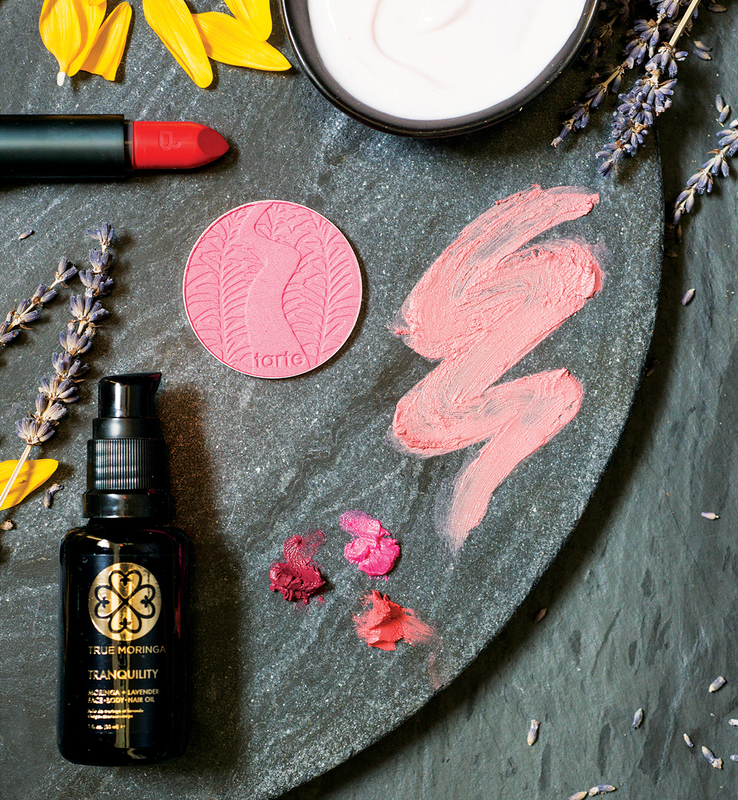 Detox your daily beauty routine with these natural finds. By Abby Bielagus·	 10/8/2017, 5:56 a.m.
Cellular Repair day cream, $290, Arianna Skincare. Cheek tint in Blush, $29, Aisling Organics. Kjaer Weis cream blush in Happy, $56, Follain. RMS Beauty “Lip2Cheek” color in Smile, $36, Follain. Ilia multi-stick in A Fine Romance, $34, Follain. “Tranquility” face, hair, and body oil, $26, True Moringa. Tarte “Amazonian Clay” blush in Natural Beauty, $29, Sephora Studio. Bite Beauty “Amuse Bouche” lipstick in Persimmon, $26, Sephora Studio.